The Wedding Planning Podcast helps you streamline + simplify your wedding plans with short, weekly wedding planning "meetings" in podcast episode format! Hi, I'm Kara, Producer & Host of the Wedding Planning Podcast, and I believe that every couple should enjoy the expertise of a down-to-earth, honest, and professional wedding planner. I know that a beautiful wedding doesn't have to cost a ton of money, or take up all of your time! 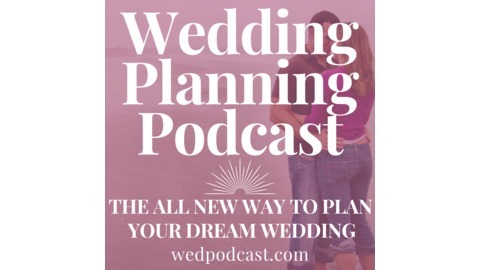 Each weekly episode of the Wedding Planning Podcast takes a critical eye to traditional wedding planning advice that you may be inundated with on wedding websites, blogs, magazines, and social medial. The Wedding Planning Podcast is all about focusing in on what is most important to you & your fiance, and staying true to YOUR vision of your perfect wedding day. 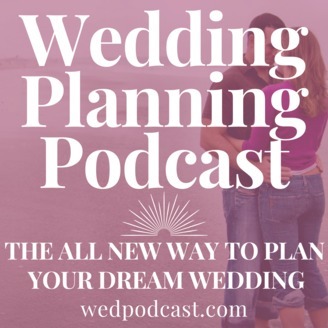 Forget sky-high budgets, pressure from traditional wedding vendors or wedding planners - the Wedding Planning Podcast is designed to take the expense and overwhelm out of wedding planning. To sign up for your completely free Engagement Starter Kit video series, visit our website at www.weddingplanningpodcast.co and click the GET STARTED! button. Come behind-the-scenes with Sasha Wasio, an incredibly talented wedding photographer in Part II of this special 2-part series of the Wedding Planning Podcast! A special thank you to today's show sponsor! The Big Fake Wedding is the ultimate wedding experience: appearing in 30 cities across the country, you can be a guest at a perfectly planned “fake wedding” . You’ll see a carefully selected team of wedding vendors in action, meet them in person, AND experience all the fun of being a guest at an unforgettable wedding! Visit www.thebigfakewedding.com to grab tickets while they last & don’t forget to use promo code WEDDING to get $10 off.